After a short period of teaching (4 years) she moved in a new direction and became Assistant to another Bedford student, Phyllis Spafford (see below) who, in 1930, was Organiser of PE for the National Council of Girls Clubs. By 1935 all this experience led to Phyllis Colson to give birth to the concept of ‘ physical recreation for all’ and she formed the important Central Council of Recreative Physical Training to achieve this. Phyliss recognised that there were no supervised physical activities or formal PT for most young people once they left school at 14, and that the recreational facilities in GB were poor. Her skill was in creating one organisation, the CCRPT, that would co-ordinate all physical activities and provide facilities all over the country – sports groups, youth organisations, educational authorities, industrial firms. This was a modern, independent, approach, which caught on very quickly and attracted great interest and distinguished patronage. 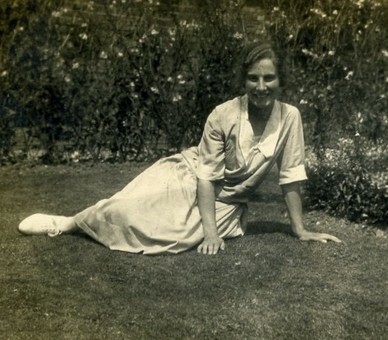 In 1936 Phyllis returned to a public meeting in Bedford to promote Keep Fit, in front of the Mayor and Margaret Stansfeld and, following the 1936 Olympics, when the Great Britain team were rather disappointing, there was a demand for the government to help fund the voluntary organisations to educate people towards greater physical fitness. It was suggested that every household should have a brochure with simple health rules and physical exercises ‘written entertainingly by people who knew their subject’ and so, ‘Are you a Sensible Susan?’ was produced. Phyllis Spafford joined Bedford Physical Training College from Bedford High School. She formed the Keep Fit Association and was secretarty to the influential Ling Association from 1931 to 1949. Whilst in post she received the King Gustavus Gold Medal for her work as secretary. She aroused enthusiasm for the National Playing Fields campaign with her lectures and with Phyllis Coulson organised physical education for the National Council of Girls Clubs. In 1949, after the sudden death of Cicely Read, Mis Stansfeld invites Phyllis to become the Principal of Bedford Physical Training College for a limited time of two years. Following her retirement as Principal, Phyllis remained dedicated to sport and physical exercise. She became president of the Westmoreland Keep Fit Association. To prove the benefits of keeping active, Phyllis died at the age of 101. 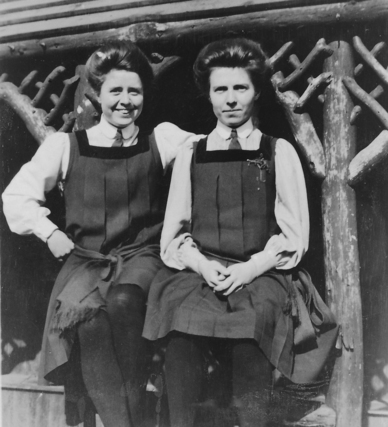 She is pictured here on the right.Click on this text to edit it.